Dainty digits aren’t a hindrance to PS4 gamers anymore thanks to a new controller aimed specifically at the wee mitts of small handed button bashers. Seeing that the less large handed gamers might find the DualShock 4 controller of the PS4 too much to handle, Sony has acted. The company has licenced Japanese peripheral company Hori to create the new controllers that should make gaming far easier for those that find the official PS4 controllers a little cumbersome. The Hori Wired Mini Gamepad, as it’s called, is designed specifically for children and adults with smaller hands. The controller isn’t wireless but rather relies on a wired connection - so no worries about battery life there then. That cables is a decent 10 foot in length so most users should be comfortable gaming from that distance. 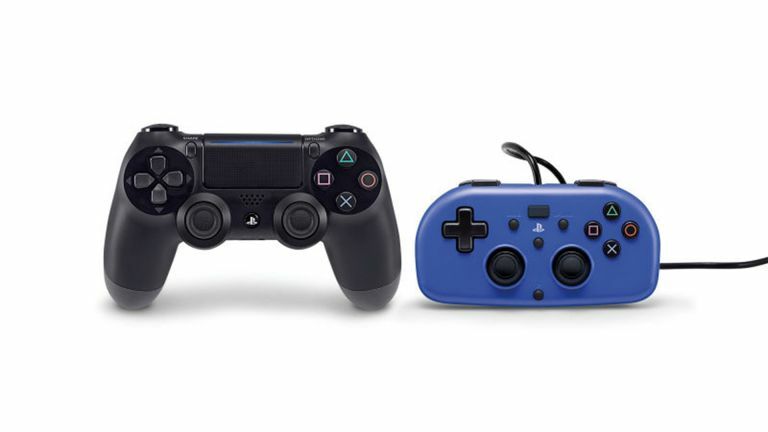 The Hori Wired Mini Gamepad is actually 40 percent smaller than the DualShock 4 in size. It comes in a blue colour with the usual button configuration. However it’s not as capable as the official DualShock 4 controller since it’s missing a touch pad, light bar, stereo headset jack, speaker, vibration and motion sensing. As a result the Wired Mini Gamepad is a steal at just $30, which is about £23, although UK pricing and release date have not been announced yet.